Hi! I’m Jill Rosenblum and I want to tell you a little bit about my family and why we have chosen Tyler Hill Camp as our second home for the past eight years. During the year I live in Woodbury, Long Island with my husband Stephen, my sons Jack and Sam, who are currently in 8th and 10th grade. My daughter Sydney is a Freshman at Penn State. I myself went to Tyler Hill when I was younger! For the few years I was a camper there, I must say the memories and the friendships I made have lasted me a lifetime. That being said, when it came time to choose a camp for my kids the choice was easy. The Siegel family warmly invited myself and my three children to come to Tyler Hill. I love being at camp and have truly seen first hand how THC is a place where lives change and dreams come true. Tyler Hill has and will always be a magical place. It has molded my daughter Sydney into the independent young woman who now has been a couns elor for the past two years and will be a Group Leader soon. It has changed my son Jack from a crying little boy who did not like camp to a confident happy teenager who cannot wait to be a CIT this summer. Sam has always loved being at camp and continues to enjoy football and basketball and has taken up a love for waterskiing as well. The friendships we have all made there are the most special. We cannot wait for summer 2015. It just keeps getting better! Hi I’m Jack! I am in the 10th grade at Syosset High School. I play football and basketball during the school year and love my summers at “the Hill”. This will be my eighth summer and my last one as a camper. I have truly loved all the sports, especially Lazarus Bowl and Jacobs Cup. I can’t wait for summer 2015! Hey Everyone, I’m Sam! I am in 8th grade and play football, basketball and lacrosse in my hometown of Syosset during the year. My summers at “the Hill” have been incredible. I have made amazing friends, love all the sports and have been wakeboarding for the past few years. I would like to give a special shout out to Marc Shale for his boat driving abilities while I have perfected wake boarding! I also love Olympics and Color War. 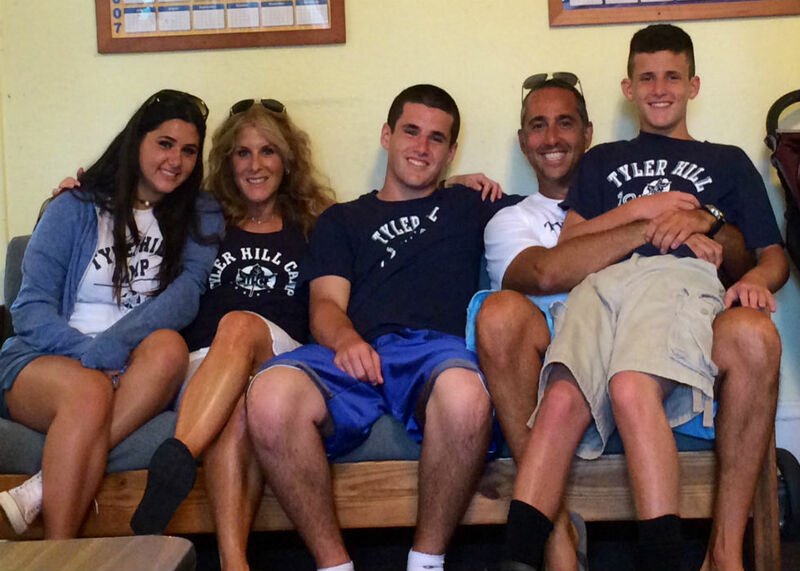 Thanks to my mom Jill for bringing us to Tyler Hill. She is an alumni so it makes it that much more special to my family! Hi, I’m Sydney! I am currently a Freshman at Penn State Univerity. While this has become my new home, I always have in the back of my mind Tyler Hill, my real second home. I am majoring in H ospitality Management and am involved with a few clubs here at Penn State along with being in Alpha Sigma Alpha sorority. This will be my eighth summer at camp and my third as a counselor. Funny enough, last year I wasn’t planning on attending camp, and after realizing that I could never stay away, I called Andy less than 24 hours after the buses left and came back to camp. I couldn’t imagine a summer spent anywhere else. Although I came as a Junior camper, it seems as if I have been there forever. As a counselor, I am able to use my personal experiences as a camper and be the best I can be. 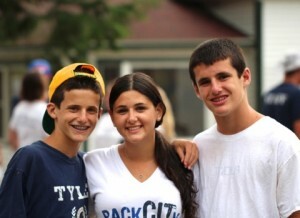 With both of my younger brothers and my mom at camp, it gives me even more to look forward to each summer. I also can’t wait for my favorite camp activities like Girls Day Out, Color War, Lazarus Bowl and every STARFISH ceremony. Just seven more months! !